I still remember waking up on my own 4th birthday with balloons covering my ceiling! I have no idea how my Mom stood on a ladder, taped them to the ceiling in the middle of the night without waking me up. No way could I do the balloons for our daughters 4th but I still wanted to create a memory. 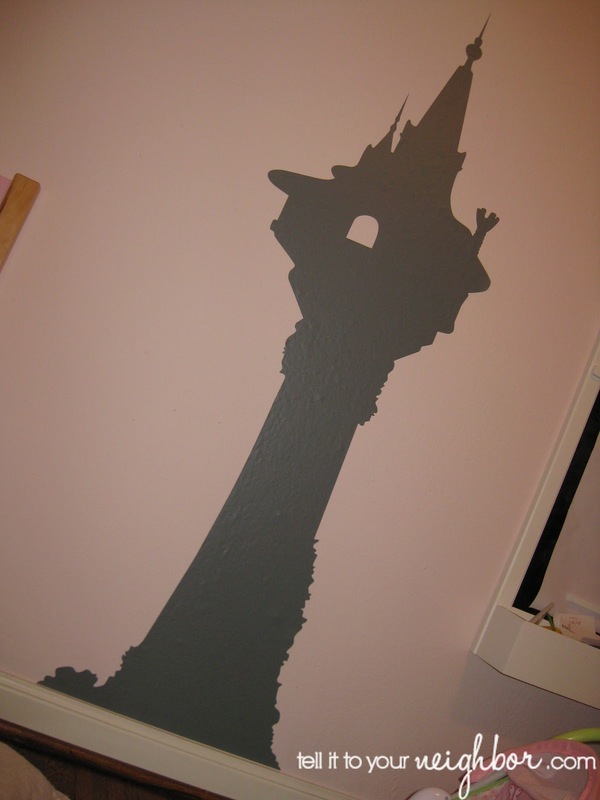 Instead I quietly applied a vinyl decal of Rapunzel’s tower to the Birthday Girl’s wall while she slept. Vinyl Silhouettes made this custom 5′ tower for us and they rocked, tell it to your neighbor! They even cut out the negative space of Rapunzel’s window for me. The vinyl color is Grey from their color chart. A&E Graphics quoted over $350 and Vinyl Silhouettes produced and delivered for a total of $127.87! Take a look at their FAQ page and see the question “What if I ruin my custom silhouette?” You may be able to get this tower re-cut for around $40. Let me know if you do! She was so surprised! 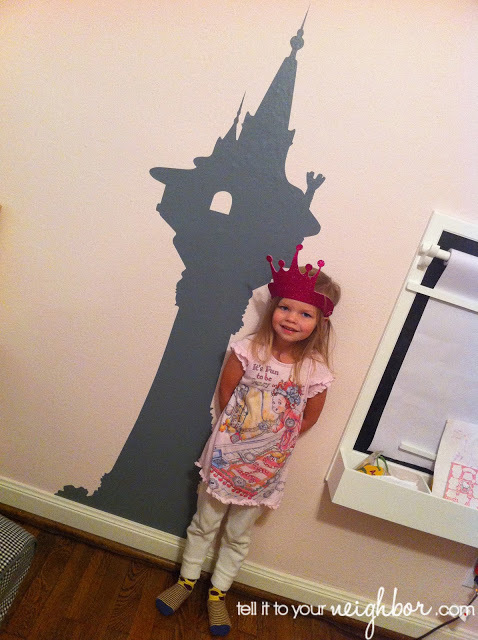 In the middle of the night she got up to use the restroom and mumbled something about a shadow of Rapunzel’s tower on her wall. In the morning it was real!!! Vinyl Silhouettes can turn any picture of yours into a silhouette for your wall. They also have designs ready to go for great prices!